Every day is a competition. Against your pride, comfort zone, fear, complacency, snooze alarms, bad habits, bad relationships, and more. This podcast is for the ambitious willing to Compete Every Day to make an impact in their career, health, relationships, and life. 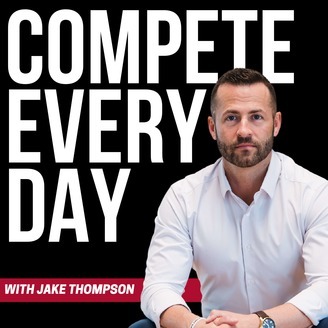 Each week, CEO Jake Thompson (@LifeIsWorthCompetingFor) interviews leaders in business, fitness, psychology, and sports to explore what drives Championship performers and what takeaways can be applied to listeners’ lives to make winning changes. 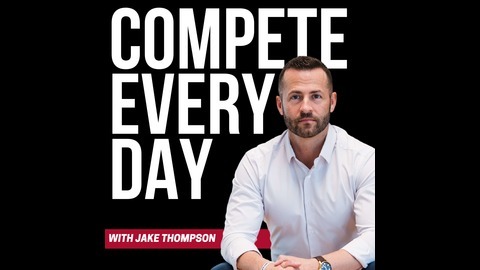 By listening, you’re making the decision to start living your best life alongside a thriving community of #EverydayCompetitors striving to be better than yesterday. www.CompeteEveryDay.com. Culture is key, in the locker room and the boardroom. Texas high school football coach Randy Jackson opens up in this week's episode on team-building and co-creating team culture to create a framework both players and coaches buy into. If a group has common goals and speaks the same language both on the field and off, they are primed for success, even if they don’t always win. The way to build that strong culture lies in having a dialogue with players and staff. People are more likely to want to uphold a structure if they feel they’ve been a part of creating it—if they have a stake in it and know why it is how it is. Just telling players why they should be a certain way falls flat, but if they have skin in the game, loyalty and drive follow not far behind. Support the Show: Use code PODCAST to get 15% off your next order in the Compete shop here.